With the transport of bulk materials in the form of a two-phase suspension (liquid-solid phase) we can meet in a number of industries - chemical, food, mining, energy and many others. In addition to closed pipe systems, which are usually hidden for ordinary citizens in industrial agglomerations, the two-phase flow is part of river systems (torrents, rivers, lakes, dams), and last but not least, this flow plays a very important role in natural disasters such as floods from torrential rains or flash floods. From the point of view of the size of the conveyed material, the two-phase flow can be divided into two basic types - homogeneous suspensions with grain size up to 40 mm and heterogeneous suspension for grains higher than 40 mm. Homogeneous suspensions generally exhibit non-Newtonian behavior characterized by varying viscosity. The flow of the heterogeneous suspension moving in the horizontal direction can be further divided into a flow with a solid phase dispersed throughout the profile, a flow where the salting motion of the individual particles occurs, a flow with a moving bottom, and a flow with a stationary bottom where only pure liquid flows over the bottom. Unlike the flow of pure liquid, which is turbulent in the whole velocity range, the homogeneous suspension is characterized by both turbulent and laminar flow. Depending on the volume concentration, the velocity at which the transition from laminar to turbulent regime occurs is in the order of several meters per second. In a laminar flow regime, a homogeneous suspension can be described using a suitable rheological model, e.g. the Herschel-Bulkley model. Examples of homogeneous suspensions may be, for example, kaolin suspensions or fly ash slurries. For heterogeneous suspensions, one of the basic parameters is a critical velocity. Although there are a number of different ways to define a critical velocity, it can generally be said that at the critical velocity, solid phase settling begins. When the flow velocity drops below this threshold, the bottom formations are gradually formed, which reduce the flow profile and which can result in the overall closure of the pipe profile. Therefore, it is necessary to keep flow rates above this critical condition for optimal operation. Another important role in the flow of heterogeneous suspensions plays also the particle size distribution. When flowing in a horizontal pipeline (at velocities close to the critical), interactions between the particles and the lower bottom of the pipe occur. These interactions represent a significant increase in pressure losses in the flow of heterogeneous suspensions. With a suitable particle size distribution, it is possible to achieve that the finer fraction is moving around the wall of the pipe and prevents the direct contact of the coarse fraction with the pipe wall. The result is a reduction in the energy demands of suspension transport. This phenomenon, however, can be applied in a limited range of velocities, only to the velocity at which the all solids are dispersed throughout the pipe. In addition to the suspension flow in the horizontal pipeline, there are a number of applications where the suspension flows vertically or flows in an incline pipeline. The suspension flows in the inclined pipes are another challenge in the two-phase research. In upward flow, due to settling speeds of the solid phase, local concentration increases and congestion decreases. If the suspension flows downwards, on the contrary, the local concentration is reduced and the transport concentration is increased. These impacts must be considered when designing hydrotransport systems correctly. For the research of two-phase flow, the Institute is equipped with a number of experimental devices at both laboratory and pilot scales. For investigation of heterogeneous suspensions, a pilot plant is used which consists of stainless steel pipes with internal diameter of 100 mm, slurry pump, storage tank and other components. Part of this pipeline can be tilted up to the vertical position. Radiometric devices are also included in the pipeline, which allow the measurement of the local volume concentration, even in the inclined part. On this pipeline, glass balloon, sand, gravel, basalt and other materials were tested on a range of particle sizes ranging from 0.2 mm to 12 mm depending on the transported material. For the research of the homogeneous suspension behavior, a stainless steel pipeline with an inner diameter of 36 mm is available. The system is equipped with a volumetric pump, which makes it possible to reach the paste consistency of the conveyed material. The influence of individual parameters (particle size, volume concentration, pipeline slope) on the total pressure losses, the distribution of the local concentration in the horizontal and the inclined pipelines, the critical velocities were monitored on these pipeline stands. 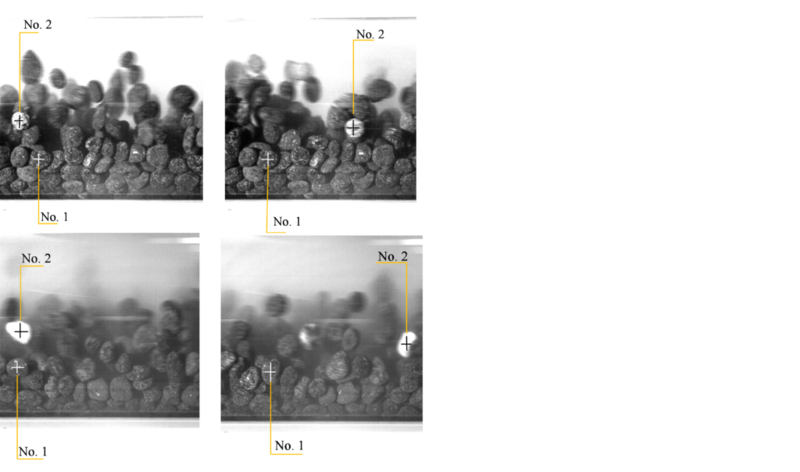 Figure 1 shows individual particle motion of the basalt suspension. The images were taken by a high-speed digital camera. Vlasák P., Chára Z., Konfršt J.,(2017). Flow behaviour and local concentration of coarse particles-water mixture in inclined pipes. Journal of Hydrology and Hydromechanics. 65(2), 183-191. Vlasák P., Chára Z., Konfršt J.,(2016).Distribution of concentration of coarse particle-water mixture in horizontal smooth pipe. Canadian Journal of Chemical Engineering. 94(6), 1040-1047. Matoušek V., Vlasák P., Chára Z., Konfršt J.,(2015). Experimental study of hydraulic transport of coarse basalt. Proceedings of the Institution of Civil Engineers-Maritime Engineering.68(2), 93-100. Matousek V., Krupicka J.,(2014). One-dimensional modeling of concentration distribution in pipe flow of combined-load slurry. Powder Technology. 260, 42-51.